Couple of years ago, Streeldeal.sg was embroiled in numerous incidents, with many of the complaining customers claimed they had been scammed into paying for the membership due to the way information was presented on the site. A similar website, Olaprice.com has emerged with similar complaints on unfair business practices. Alleged Apple iPhone 6 Shells have been leaked on MacRumours, with images pointing to a slimmer design wa super thin bezel. Also, as it had been wildly predicted, is Apple finally going to launch a big screen iPhone to combat the Galaxy Note 3 and tons of other Android phones? Seems to be the case. 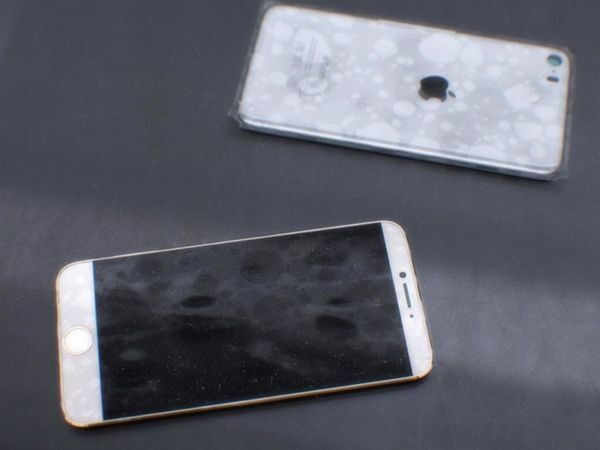 The first photos of Apple’s next generation iPhone have surfaced on Twitter, thanks to Australian writer Sonny Dickson and Twitter user Mornray886. According to Dickson, the photos were shared by someone in China who claimed that the device is the iPhone 6. One analysis done by Virtualpants estimated the screen size of the iPhone 6 to be 5.25-inch. It seems to have an edge-to-edge display too. An easy way to do the approximation is based off the dimensions of the Lightning port which are clearly visible. 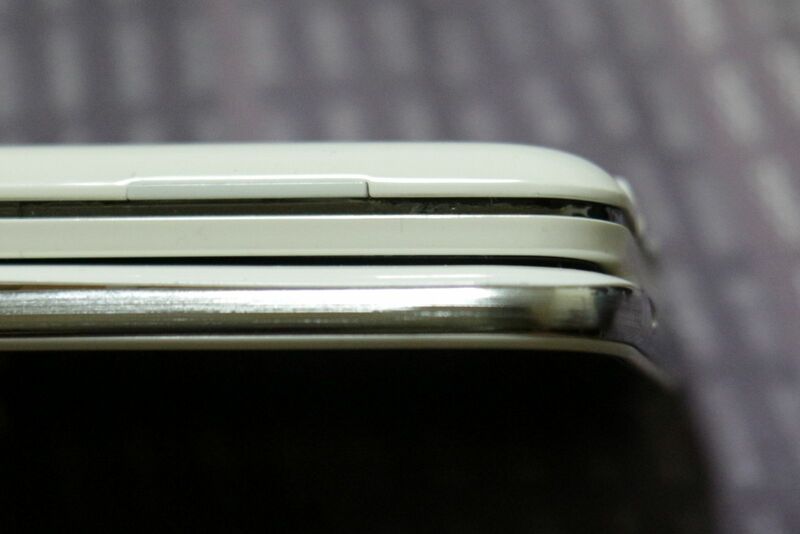 The device in the photos appears to have a width of 2.6-inch while the current iPhone 5S has a width of 2.31-inch. It also retains the biometric fingerprint sensor and comes in gold. It’s hard to tell whether these images are fake or simply development prototypes. Apple CEO Time Cook recently shared with The Wall Street Journal that the company will not “cross the line” until the technology is ready for a bigger iPhone. He also stated that Apple would not rule out the possibility of doing a bigger iPhone. With last year iPhone 5S not captivating the market, and Apple significantly losing market share to the likes of Samsung and LG, Apple could be rushing for an earlier release of a big screen phone. We could be poised to see an announcement of the Apple iPhone 6 as early as May this year. iNO 2 (or iNO Two) is the successor to the hugely popular iNO One. The iNO One owed its success to being of the few non camera android phones available, but was plagued by numerous complaints of software bugs and slow speed. The iNO 2 comes at a higher retail price of $328, as compared to the iNO One, which retailed for $268. So expectations of the iNO 2 are high. Let’s review the iNO 2 and see if it’s worth the difference in price. It’s now available from MyMobile, an online retailer at $298. Which is a $30 discount. First impressions: The iNO 2 is freaking light and thin compared to other phones. I haven’t got a chance to actually weigh it, but it’s both lighter and thinner than my nexus 4. It has a metalic band at the side ( similar to the iNO Magic). No more uncomfortable feeling when holding the phone that the iNO One had due to some weird gap. 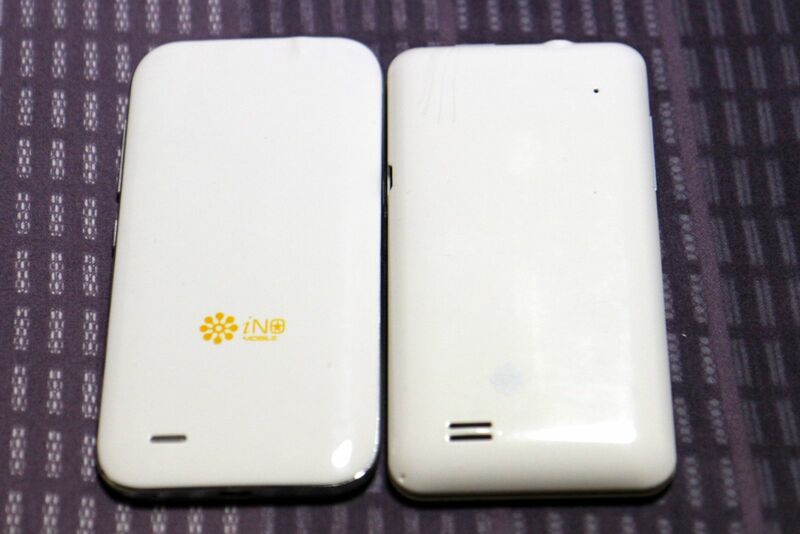 The back of the iNO 2 is the same plastic clamp cover as the iNO One. Dust collecting. But still looks slightly more elegant. 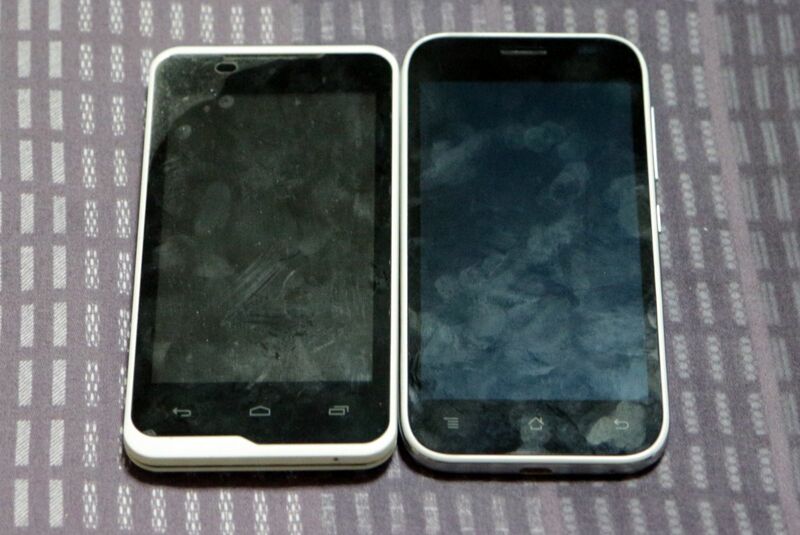 The display of the iNO 2 at 4.3 inch is larger than the iNO One, which is always a good thing. The screen this time is an amoled screen, which supposedly lowers battery consumption. Unfortunately, it comes with all the disadvantages of an amoled screen as well. When viewing stuff on a white background, the display looks grainy, even with its 720p resolution. This is due to its amoled pentile arrangement. Effect is not so obvious when viewing things of other colours, or when the phone is held further away. In fact photos actually look quite nice. Colours might be too saturated for some people’s preference, while some would like to strong colours. Setting the display brightness to auto would usually result in the screen being too dark (again associated to amoled screens), although there are apps available to resolve this. Also the screen seems to have a different tint at different brightness levels, which can be disconcerting when the brightness levels are being adjusted automatically. On the bright side, the colours look amazing. The iNO 2 comes with a dual sim slot. Interestingly, one is a normal sim, and one is a micro sim. When there are two sims inserted, you can choose which sim you want to have access to the 3G networks. (buried deep within settings). The other sim will be restricted to just 2G data. You can also set which sim’s data plan you want to be active. When there is only one sim card, you can use either slot and still have access to 3G. Selection of which sim card to use can be auto or manual, and there will be an orange line to indicate which sim card is active when you’re messaging or calling. Software is your standard Android 4.2.2. I’ll repeat what I said for the iNO Magic. Because the phone is based off a mediatek SOC, there’s no way it will get updated to later versions of android. So don’t dream of Android 4.3, let alone 4.4. and later. Androidpolice has a list of stuff that you’ll be missing from 4.3, You’re not missing out THAT much yet, since the phone’s hardware does not support most of changes. Things you will be missing out on are stuff like OpenGL ES 3.0 and the WiFi scanning mode can be enabled without connecting to a network for better location tracking without using GPS. Also you won’t have the Android 4.3 buttery smoothness, but the iNO Magic is powerful enough that you won’t really notice. At least the phone comes with Android 4.2.2. You can still install the google experience launcher, and various other google programs that came with 4.4. (like the clock) So it’s not that great a loss. I expect the performance of the phone to be similar to that of the iNO Magic. Similar to the S4 mini, the only other top end non camera phone you can get hold of. No lag using twitter/instagram/ surfing net etc. I had some issues with the GPS of the iNO 2. I’m not sure if it was hardware or software related. Hopefully it’s software and could be fixed in the future. 75% of the time, the GPS worked well and locked on fast. But while using it, 25% of the time, the GPS position will jump around so much that navigation becomes impossible. The iNO 2comes with a 1500mAh battery. To test out the battery life, I looped a HD video clip, at 50% brightness, with wifi on (but not connected), and 3G data on. Background synchronization was left on with data transferring over 3G network, with apps that I typically run on my phone (i.e. email, google+, whatsapp, google newspaper and more). Battery went from 100% to 0% after 5 hours and 30 minutes. This is surprising, because the phone has a much smaller battery than the iNO Magic, but lasts almost the same duration. Ino One (with a new battery) lasts 3 hours and 50 minutes. Pathetic. The INO 2 is readily available in Singapore. There are a number of distributors carrying it, and you can get more details from INO. They are also available online from Qoo10; which is pretty convenient since delivery is cheap and you can use Qoo10 coupons to further offset. Loved the iNO 2, especially after using the iNO One for so long. It’s fast and lag free, so no complaints there. Some people might complain about the battery life. It’s a valid concern, but it applies to many smart phones, and I’ve learnt to keep the phone charging in office. Screen is a little different from what i’m used to. But still looks great watching shows. I’m concerned about the price. At S$328, it’s 30 bucks more than the iNo Magic, which is a phone that’s essentially the same specifications. In fact you might say the iNo Magic has more capabilities. A S4 Mini at similar performance specifications retails for $768, while the LG F5 retails for $418. But the LG F5 while smooth, the performance is a level below the iNo 2 as it is only dual core. Regardless, I think the iNO 2 is a much better quality product then when the iNO One came out, and is a phone worth considering. If you’re upgrading from the iNO One, the iNO 2 is definitely worth it. iNO Magic review: good package with a small price, but is it cheap enough? The iNO Magic is iNO Mobile’s first attempt at a full fledged camera phone. 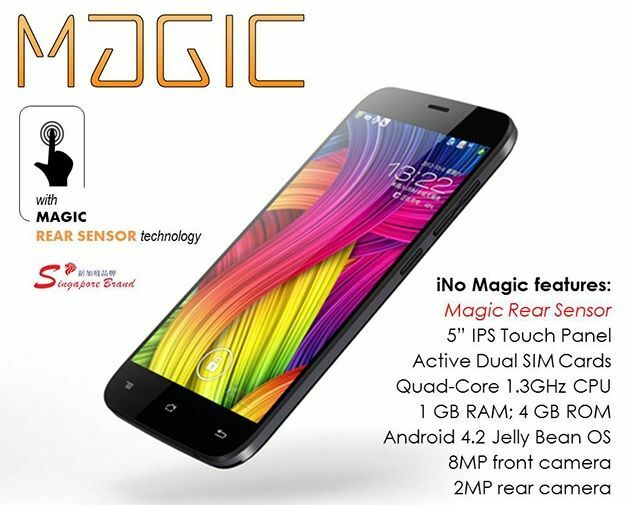 Equipped with a quad core processor, a 8 megapixel camera, a 5 inch display, the iNO Magic tries to bring a complete phone package at a cheap price to the consumer. In addition, the phone includes a new rear “magic” sensor, (hence the name) . iNO Mobile was kind enough to loan us a set for review, and we hope to find out if this phone is worth coughing out S$299 at its retail price. It’s a brand new year, and 2014 brings anticipation of new iPhones, Galaxy S5, Note 4s, but for non-camera phone users, choice is always limited. You would be hard pressed to find non camera phones besides INO, and camera-removed models such as the Samsung S4 Mini. Well, in 2014, along comes a potential new player on the block, Absolute Solutions Pte Ltd, with the still-in-development non-camera phone tentatively named as “PRIDE”. It is still early stages, but the phone is expected to launch mid this year. I had an early preview of the phone to give users a sense of what to expect. There are still further developmental activities and a bump up to the specifications as well to make it more attractive to users. However, for the actual launch model, it will come with an Octa Core chip (MT 6592) and 2GB ram for a good performance increase. I don’t know about you, but when I think using technology at home, I imagine a few things. Using hand gestures and voice commands to control the home entertainment centre. No more searching for the missing remote. Using my phone to control every appliance at home, so that I don’t have to get up from the bed to switch off the lights. Everything pre-programmed, making me the ultimate couch potato. LG wants to make that happen with its Smart Control.